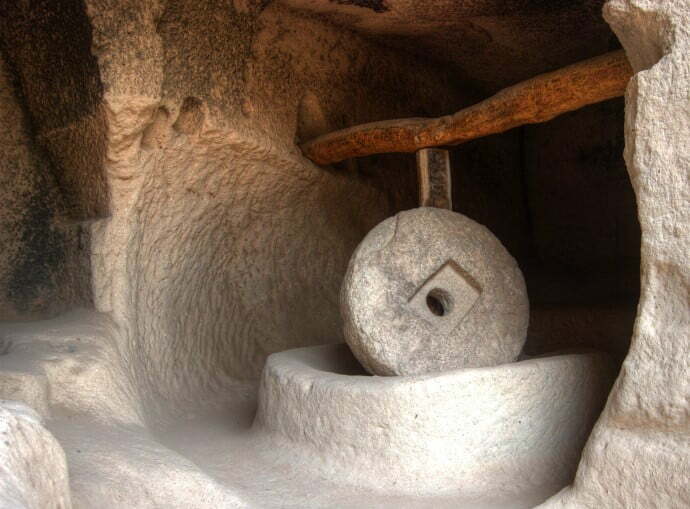 The open air museum of Zelve tells much the same story as other places in Cappadocia. 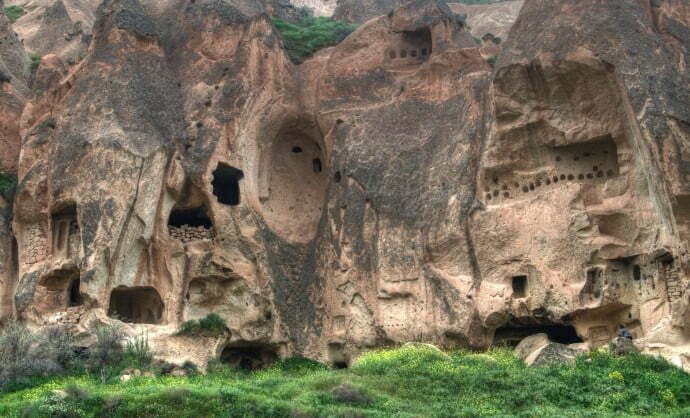 Previously a monastery retreat from the 9th to the 13th centuries, in later years, Turks and Greeks lived side by side in the caves, carved out of the soft volcanic rock. It was a fully functioning community until the end of the Turkish War of Independence in 1923 that resulted in the Treaty of Lausanne requiring Greeks to return back to their homeland and vice versus. Then in the 1950s, falling rocks were a safety hazard so local Turks deserted the old village to move to modern housing nearby. 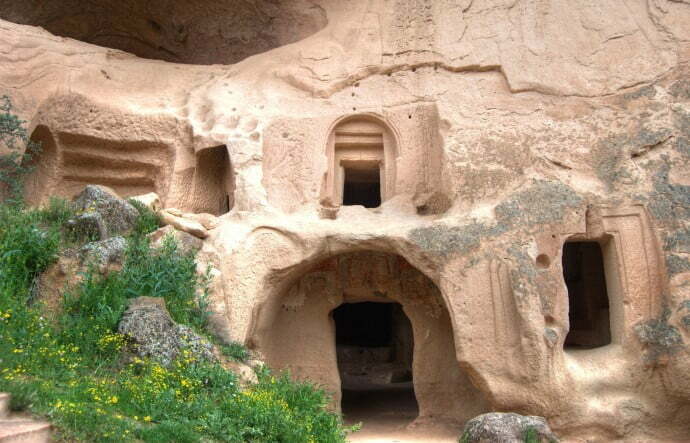 These days, Zelve Valley and its old cave homes are integrated into the tourism market as an open air museum, albeit they are not as popular as the UNESCO world heritage site of Goreme, also in Cappadocia. The plus side of this is that I avoided the queues and hordes of tourists taking selfies in every corner. 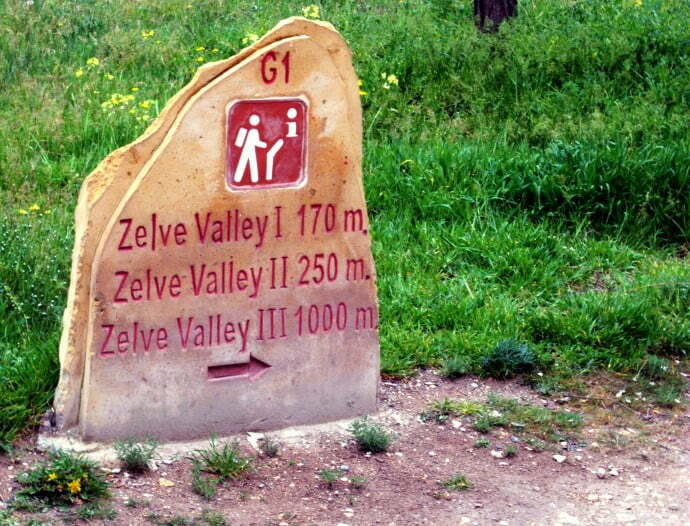 I arrived at the entrance in the early afternoon and after stopping for a Gozleme snack at a refreshment stall outside, entered Zelve Valley for what I assumed would be a gentle stroll. On that day however, my planning skills had skipped town. I stupidly didn’t bring any water, had woke early for a hot air balloon trip at 3am (that I never did,) and had toured many touristic sites since 9am. So by the time I reached the third valley, my body was screaming at me to stop. The sun was bearing down on me and considering I call myself an experienced traveller, I scoffed at my poor planning skills. Yet I could still smile because for one moment, as I stood in an ancient cave church, my feelings replicated the magical atmosphere of the mythical and ancient Christian sect portrayed in the film Ghost Rider 2. 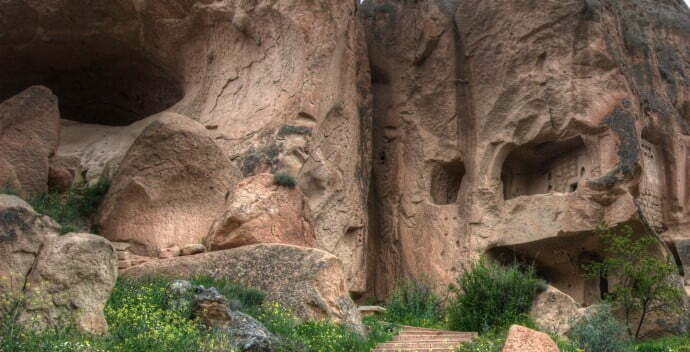 All three valleys are intricately linked via an official walking path that led to the cave churches and homes. As with any repeat visitor to Cappadocia, once you have seen 30 cave churches, the similarity fails to impress like it did the first time. I did get overly excited at spotting an old wheat grinding mill that was still used until the town was evacuated but at all times, in the back of my mind I compared every cave to scenes that I remembered from watching Ghost Rider 2: Spirit of Vengeance. 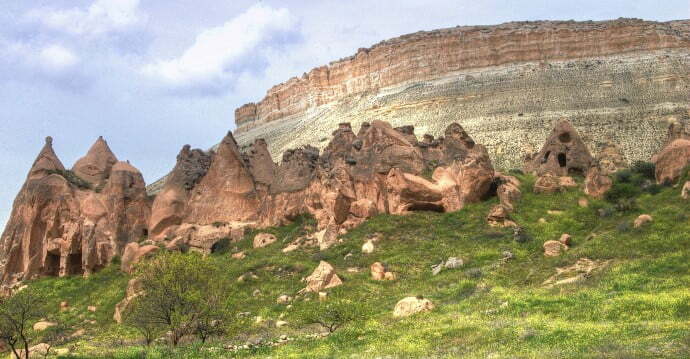 In 2011, Zelve Valley closed to the public for Nicholas Cage and supporting cast members. In my opinion, Nicholas Cage is one of the most talented actors to hit the big screen so obviously to visit a place where he has filmed, is exciting in itself. In the sequel film, Nicholas Cage’s character tries to redeem his soul by saving a boy from becoming the devil re-incarnated. After completing a long journey, he leaves the boy with an ancient Christian sect consisting of tattooed monks who live in caves. The sect later decides to sacrifice the boy and the story goes on but as I stood in one of the churches, I looked up at the ceiling where a hole had been carved like a funnel. The mid afternoon sun was starting to shine through. No one else was there apart from me and my guide. Slowly in my mind, I started running through scenes from Ghost Rider 2 and then the familiarity hit. Like I had seen this old cave church before actually visiting it. I could picture the ancient sect members as if they were in front of me. Had I been stood in the same spot as Nicholas Cage? Who knows and frankly I don’t think anybody cares. My guide certainly didn’t and seemed quite bewildered by my enthusiasm.